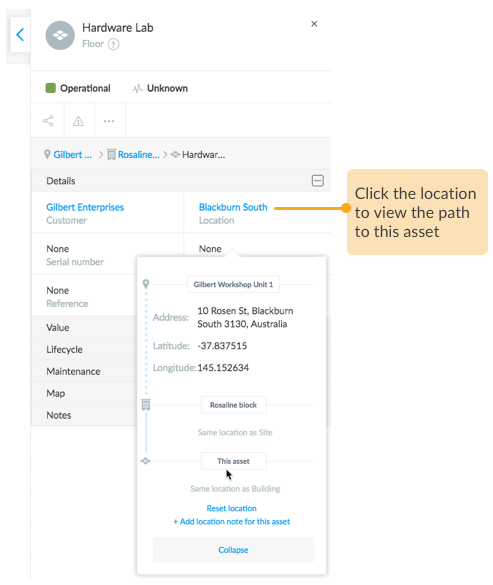 Browse through the key details of assets and sites with just a click of a button, while staying on the same page. 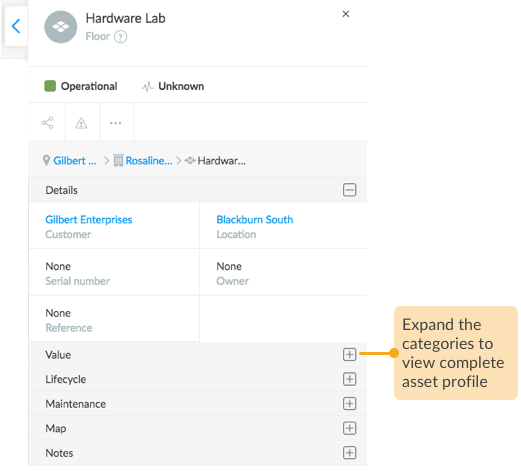 Glance through the important details about the selected asset or site in its inspector and make the necessary changes as required. Specially handy for finding the location of the subcomponent i.e. a child asset, is to check the path shown from the site to the child asset. 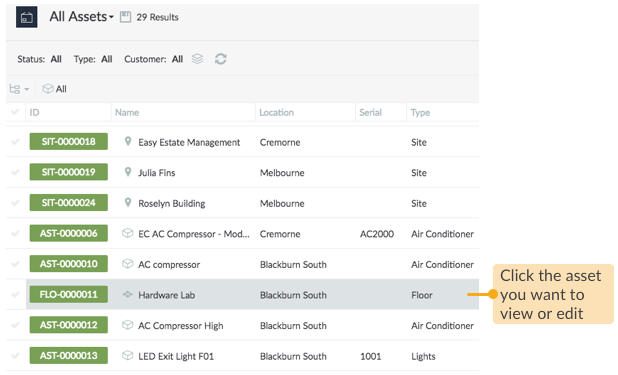 Except the customer associated with the asset or site, you are able to edit all of the attributes of the asset or site as they change with time.